We're giving away a free copy of our script that converts your AdWords keyword match type from Broad Match to Broad Match Modified. If you want to make your campaigns better targeted and save your money, then this script could do the trick. The AdWords Broad Match feature is designed to save you time by matching a few keywords against the whole universe of related key phrases and give the ability to reach masses of keywords quickly and efficiently. 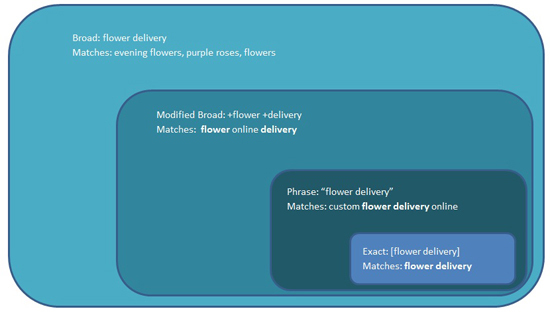 For example, using Broad Match for the keywords flower delivery will also display your ads for searches for related phrases like wedding flowers and English roses. But Broad Match will can give unintended consequences. Broad Match for the keywords sell timeshare would also match the related keywords buy timeshare which of course is the exact opposite of the advertiser’s intention. This is why we always recommend converting all Broad keywords to Broad Match Modified (BMM). BMM means that the words have to be in the search query, but in any order. This ensures the intent always stays roughly consistent. If you are in any doubt, we have written a guide to show you which keywords are triggering your ads. In addition, given that Modified Broad is a typed format (as opposed to a drop down option), it’s much more common to get formatting errors. These can cause your queries to operate as if they are Broad Match, even if you didn’t intend them to. There are three possibilities of formatting errors. The first two will cause problems in triggering as there are words AdWords isn’t expecting. They are a missing space – ‘+one+two +three’ or one or more additional spaces – ‘+one + two +three’. There is also the potential to miss a + out of a word. This will make AdWords think you want to use the broader modified Broad Match, sometimes called Anchored Broad Match. In my experience, most PPC professionals tend not to use this format. Or if they do it is unnecessary e.g. +horse and +carriage +hire (Google will account for &s etc as close variants for all match types). Therefore this script makes the assumption that anything in this format is an accident. Obviously, this isn’t always going to be the case, so if you know you use Anchored Broad Match you can still use the script in “report only mode”. In this mode, the script won’t make any changes, but just spits out a Google sheet with the things it thinks are errors and lets you correct any errors in your own time. See the How To Use section for details on how to activate this mode. Now, this isn’t going to revolutionise any account and provide huge gains. However, these little efficiency increases stack up and can influence real improvement. To use, first put the code into the scripts library in your AdWords account. If you’ve not done that before then check out this handy guide. Once the script is in your library simply make a blank google sheet, then grab the link that allows a user to edit it and copy-paste it into the code on line 11 where it says “INSERT URL HERE”. If you’ve renamed the sheet, put the new sheet name in line 14 – the case is important here. Then just select whether you’d like the code to run in “report only mode” or not and you’re good to go. Finally, remember the golden rule of working with new scripts: always preview the script before running it. This makes sure you know what it’s going to do before it actually executes. The main principle behind the code’s operation is that it expects all keywords with a “+” to be formatted ‘+one +two +three’. If it is in that format there will always be one more “+” than “ ”, regardless of the number of words. Therefore, if there is anything other than a difference of one, there is an issue. All the code is heavily commented, so I would recommend anyone who has an interest in scripts but no experience writing their own to take a look at it to see how a simple script like this operates. To sum up, this is a neat little script that can quickly check if you have any minor errors in your accounts. It is also useful as an example of an easy intro to scripts to give you an idea of how they operate and the kind of tasks that they can accomplish. If you have any questions feel free to leave them in the comments right here on the blog and I’ll get straight back to you, or contact me on twitter @JonathanCatton. //Enter the name of the sheet you'd like to export the changes to. //or YES to turn it on. //Starts with special case of not starting with a plus. //Extra step to add + at the start as function doesn't deal with this. //delete the first character if its a space. If you need help with your	writing AdWords scripts. don't hesitate to	contact us. me too, what should I do? Yeah it appears there must have been a copy-paste error of somekind when I put this in wordpress. The following correction to line 183 should solve the problem: https://i.imgur.com/FSHtT0U.png. Essentially just replace the “>” with a “>”. Apologies about that error. I’ll update the main code in the post. How can I see which keywords triggered my ad?